The compact Harley Darts mimick the Flaming Gas Tank!. They are compact and easy-to-throw, too. 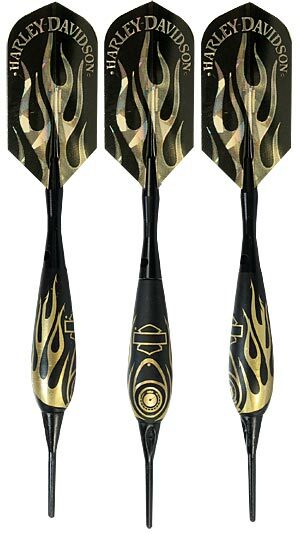 The Stubby barrels provide effortless flight with a natural trajectory to the dartboard.